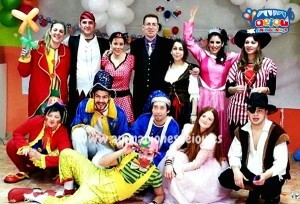 Are you looking for Children’s party entertainers in Madrid? You are in the right place! We have the best ones for your kids party, as well as best kids’ party entertainment packages! You won’t find better kids party entertainers in all the country, I can assure you! But if you think we don’t have more than that, you are wrong. We also provide all your party catering and decorations, party venues, and much more. We can provide party entertainers for kids in many areas of Madrid including Las Rozas, Pozuelo, Majadahonda, Boadilla, Getafe, Leganés, Alcorcón, Móstoles, Fuenlabrada, Torrejón, Alcalá, Alcobendas, San Sebastián de Los Reyes, Rivas and even the boroughs Segovia, Toledo, Ávila, Guadalajara, as many others! If you want the best kids party entertainers in Madrid at your kids party, you surely need to hire us! You can enjoy our entertainers to all types of events you give, such as Birthday Parties, Weddings, Christenings, Proms, Birthday Parties, Halloween Parties, corporate events, community events, Christmas Parties, and much more! You can also have our children’s party entertainers in Madrid in your own home, or other places such as nurseries, schools, shopping centres, or any other party venue you wish (halls, restaurants…). Are you going to have an upcoming party? Don’t hesitate in contacting us for further info and prices (low prices with high-quality for you!). Our entertainers for kids party are all professionals, DBS Checked and experts on kids entertainment. In fact, what distinguishes them from all the others is that they are passionate, they love what they do! You find the best kids party entertainers in Madrid with us who are actors, performing arts students, childcare workers, and school teachers, all of them with lots of experience on kids engagement. This is our philosophy and that’s why we are the best kids party planners in the country, with the best entertainers in the whole world. Don’t you believe me? Take a look! 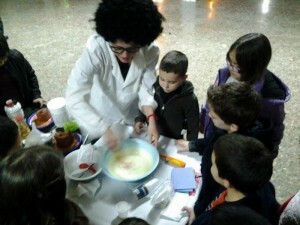 Our children’s party entertainers in Madrid are unique, and do you know why? 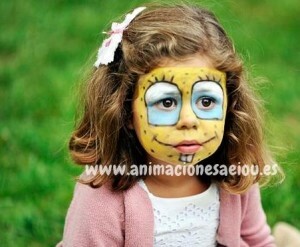 The kids parties entertainers in Madrid are always professionals, even in their worst days! 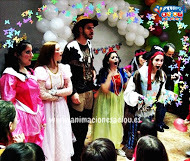 Children’s Party Entertainers in Madrid – Make it remarkable! Hire our kids party entertainers in Madrid and you can get astonishing activities and games to make your party memorable! All of them were carefully designed to make your event just wonderful! Check what we have at your disposal! Do you imagine a kids party without faces painted and lots of balloons? Me neither! That’s why we have the best face painters in the world together with the best balloon twisters of the country! There are no better children’s party entertainers in Madrid, I promise you! 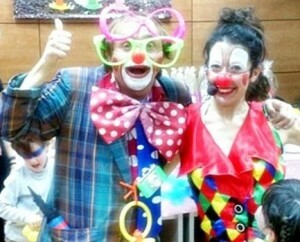 If you want your kids’ party just perfect you certainly need to hire our magicians and clowns. They are excellent kids party entertainers and there is no better way to ensure your kids will have lots of fun. Contact us and ensure their presence in your upcoming party! We have planned activities for kids of all ages, and that’s why we have designed toddler party entertainment. There is nothing better than lots of bubbles, right? 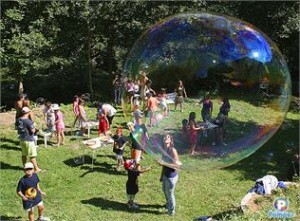 Well, I guess there is – GIANT BUBBLES! You will love to see kids running to pop them! 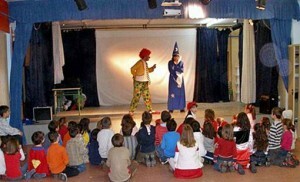 Hiring an entertainer for children’s party in Madrid you are getting this activity for your party. Isn’t it awesome? We have another surprise for you. If you need baby party entertainment there is no better party package than this one. I am sure your baby will love to listen to our children’s party entertainers in Madrid telling him a beautiful enchanted story. Do you know other parties which make so much success among the kids? We have lots of characters to bring to your party, you just need to ask which ones you want! And what about some outstanding shows? Our kids party entertainers will perform them with lots of passion, and I am sure all kids (and adults too!) will have lots of fun! We have many shows that you can choose, such as science show, puppet show, professional magic show and even a clown show! Do you imagine how fun it would be having some handcraft in your party? Our children’s party entertainers in Madrid will bring to your event lots of workshops including model balloons, magic tricks, face painting training, arts, and crafts, cook and much more! 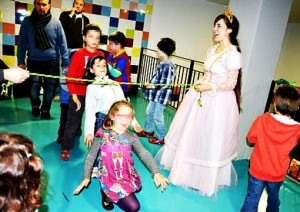 Do you still have any doubts that we have the best children’s party entertainers in Madrid? Me neither! But wait! You can also enjoy other party services to make your party even greater. You can have our children’s party entertainers in Madrid but also in Barcelona, Valencia, Bilbao, Mallorca, Alicante, Zaragoza, Murcia and more. So, there are no excuses not to hire us! 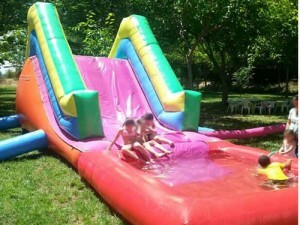 Years of experience transforming your kids party into real milestone! Your dreams are our demand! That’s why we have loyal clients for so many years! Don’t you believe me? Contact us and together we will make your party unique and unforgettable with the help of our children’s party entertainers in Madrid!